Xylitol is a naturally occurring sweetener found in many types of fruit and vegetables, and it is also naturally produced in our bodies. 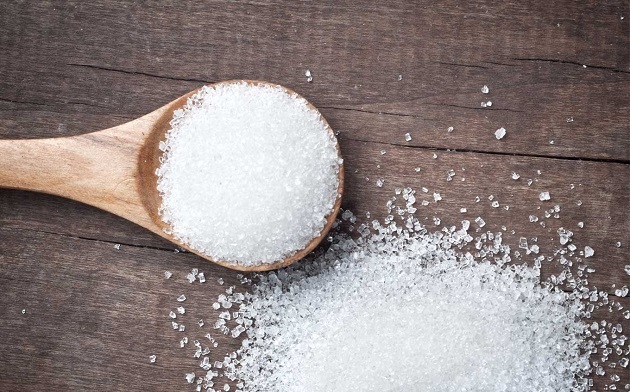 Although the type of Xylitol that is sold commercially has been synthesized, it is still classified as a natural substance due to its chemical composition which is the same as the naturally occurring substance. In its white crystalline powder form, xylitol is an odorless sweetener with almost the same sweetness as sugar, but it has 40% less calories and no aftertaste whatsoever. In fact, it has a very pleasant cooling sensation when it dissolves in the mouth. Xylitol was discovered in 1891 by the chemist Emil Fisher. During World War II, a shortage of sugar occurred in some European countries and xylitol was used as an alternative. It was in 1975 when the first Xylitol chewing gum was produced and distributed both in the United States and Finland. Nowadays, you can easily find Xylitol Australia wide in many products including toothpastes, mouthwashes, mints, diabetic food and pharmaceuticals. You can also find xylitol in a white crystalline powder form, which is ideal for sweetening your coffee, tea, and for baking cakes as well. Xylitol contains five unique carbon structures that can help prevent many types of bacteria including streptococcus mutants, resulting in less plaque and less bacterial build up on the teeth. And this is actually the reason why Xylitol is considered highly effective in preventing or reducing dental caries. Xylitol is also known to increase the production of saliva in the mouth. Saliva contains phosphate and calcium, which is absorbed by the teeth, aiding the re-mineralization process. Blood Glucose & Insulin – Because Xylitol is absorbed by our body more slowly than sugar (in fact it’s not even completely broken down in our system) it does not mess with blood sugar levels. Xylitol is considered a great sugar substitute for diabetics as it causes no effect on insulin and little effect on glucose levels. Ear Infections – Xylitol contains anti-bacterial properties which have been mentioned in many studies as agents that have the ability to decrease ear infections. Collagen – This is the most common protein in the body since it is found in large amount in our skin and connective tissues. Some studies in rats show that Xylitol can elevate the production of collagen, helping prevent the effect of aging on the skin. You can find xylitol Australia wide in specialized online stores and in local health food stores as well.